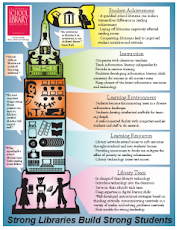 California Campaign for Strong School Libraries: How Does My Library Measure Up? How Does My Library Measure Up? California Schools now have a clear model for guidance to answer the question, what should our kids know and when should they know it. California is fortunate to have teachers in classrooms and in school libraries that have achieved an additional credential in the area of information and digital literacy. The Commission on Teacher Credentialling (CTC) identifies these dual credentialed teachers as "teacher librarians."